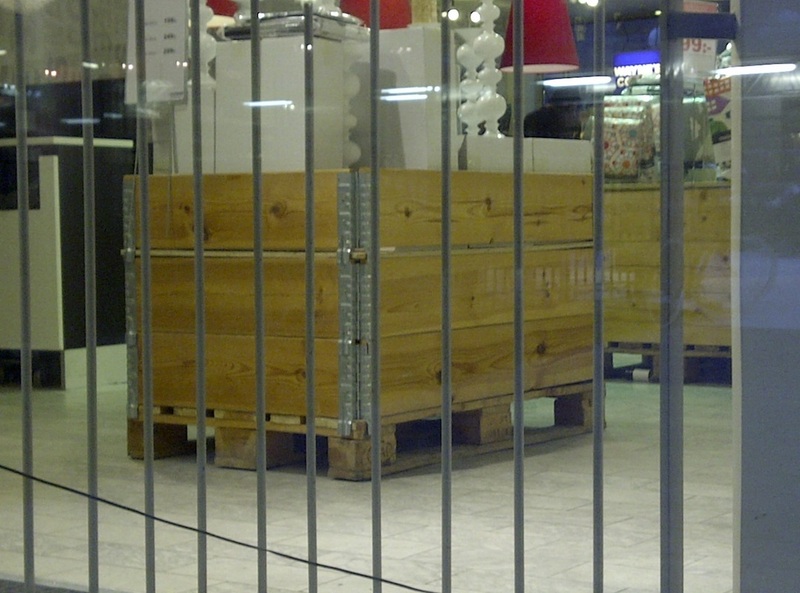 Pallet Collars used to display merchandise. 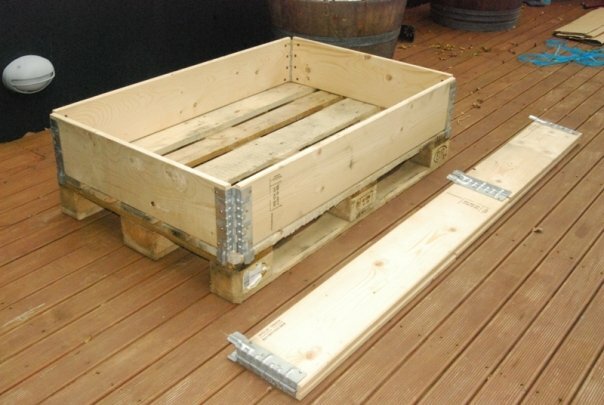 They can be used as Produce Bins as well. 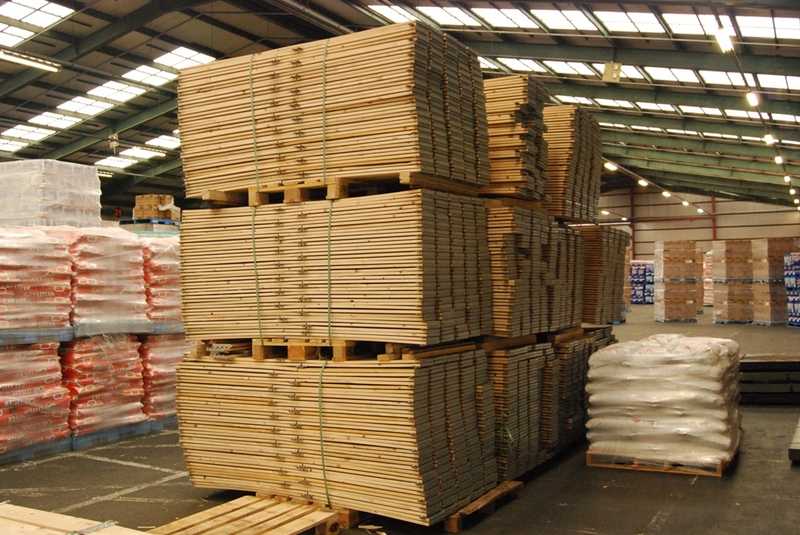 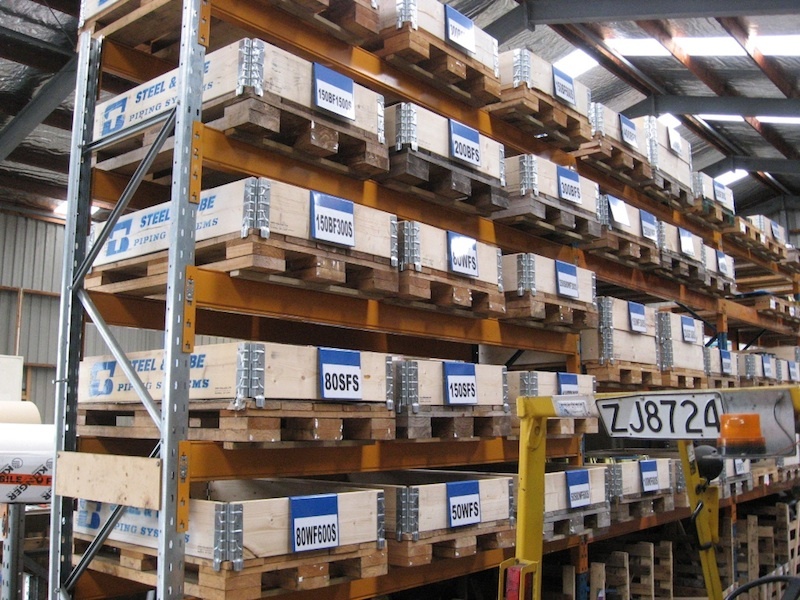 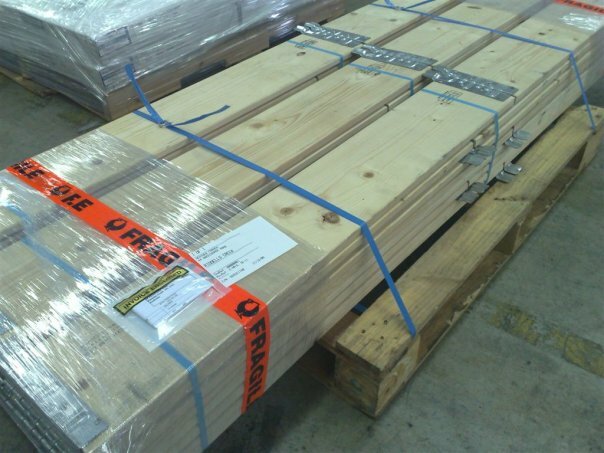 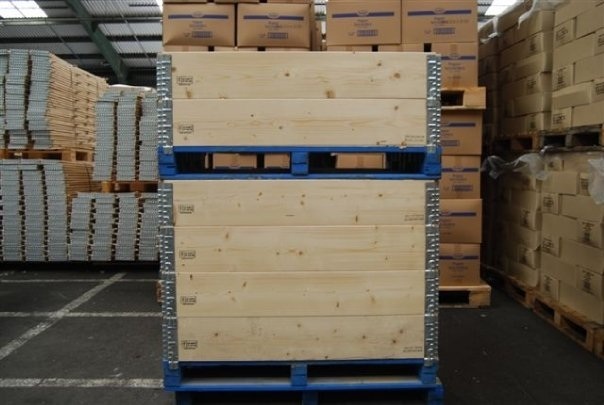 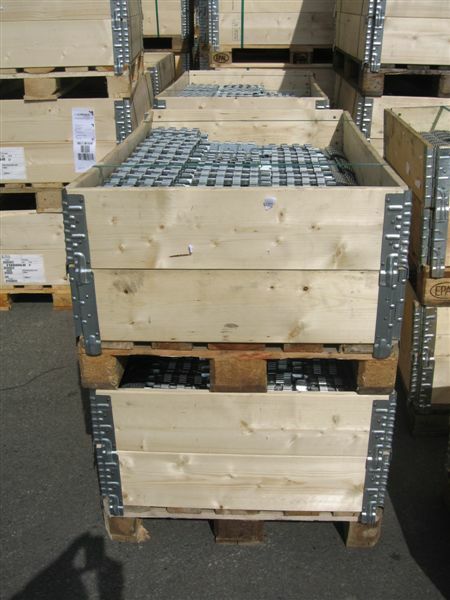 One standard pack contains 100-105 Pallet Collars and takes just ~3.1 m3 of space. 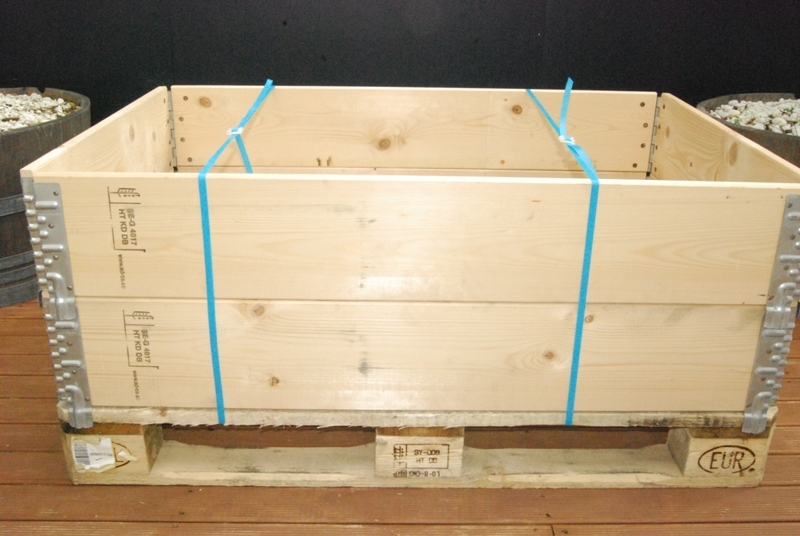 For example, you can build 21 boxes size 1165x1165x975 mm out of them - that's ~28 m3 for your goods!